The annual International Studies Symposium features the University of Maryland’s Linda Rabben, an author and human rights activist. She has conducted field research in Brazil for 25 years and worked for Amnesty International, the Rainforest Foundation, Lutheran Immigration and Refugee Service, and other NGOs on human rights, migration, environmental and international development issues. 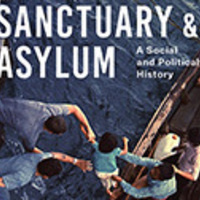 Her new book, Sanctuary and Asylum: A Social and Political History, published by University of Washington Press in 2016, addresses migration issues globally.